From a distance, Mary watched the 88-year-old woman attempting to cross the crowded schoolyard with her grandson. He steadied her elbow as they tried to navigate the maze of people, her walker shuffled in the dirt. 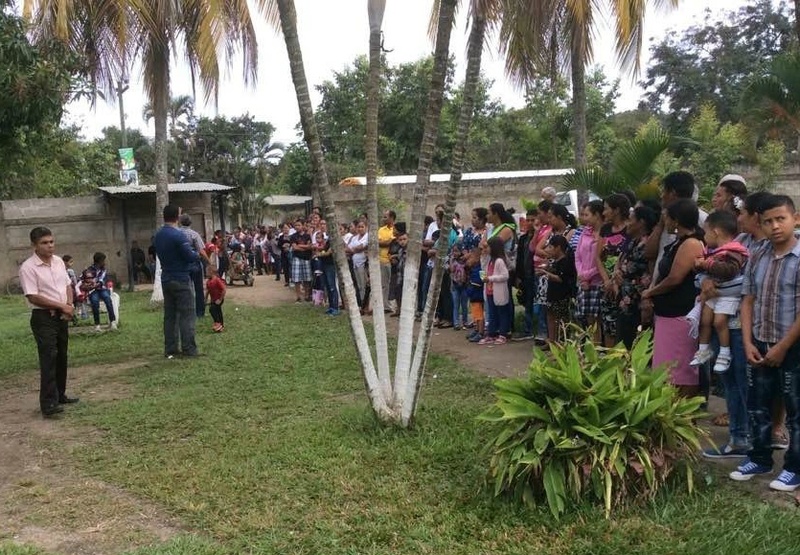 So many local residents were in line that day in Yoro, Honduras. So many were hoping to see a doctor or nurse. Worried the elderly woman would not make it to the physician’s area, Mary grabbed a fellow nurse practitioner. Together they guided the woman to the closest lawn chair. They believed it was better to treat the woman on the spot than attempt to walk the dirt paths to the doctors’ area. Clutching her bag of depleted medicine, the senior explained she suffered from high blood pressure; her lower legs were perpetually itchy. 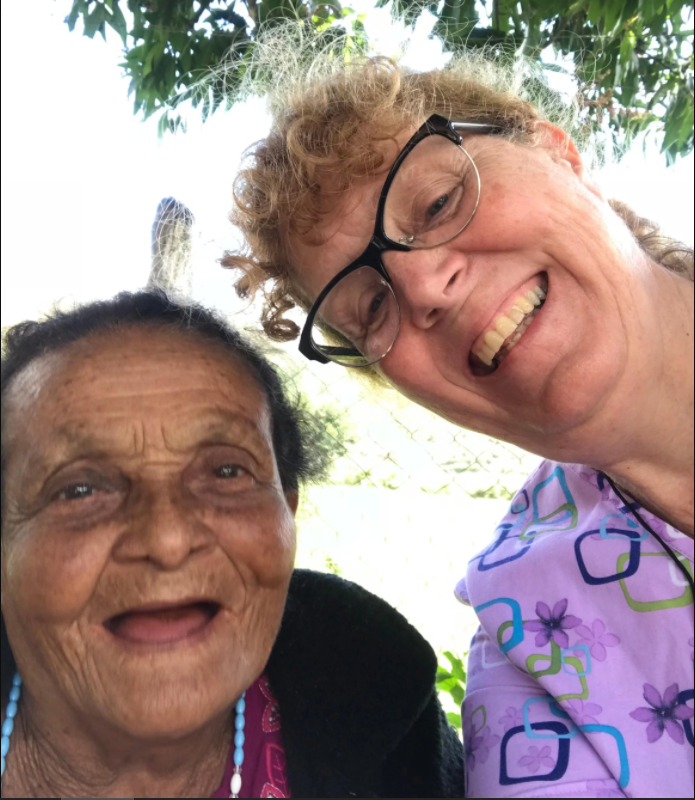 Mary prescribed more hypertension medication and some ointment for her dermatitis. Upon learning her age, they asked if she would like some reading glasses; the 88-year old had never owned a pair. Her eyes lit up when the world came into greater focus. A hug was all she could offer as thanks. Moments later Mary encountered a young woman suffering from GI issues holding her 27-day old daughter. Thankfully, the baby was healthy. She provided medicine to alleviate the mother's stomach pain and a three month supply of prenatal vitamins to take while nursing. This is a familiar scene at pop-up clinics run by medical missionaries around the world. Working at local schools, churches or community centers, healthcare workers treat everyone - young and old. Everyone needs help. Everyone is hoping to see a doctor or nurse; it might be their only chance. These temporary clinics are often stocked with life-changing medicines and health supplies from MAP International. Without them, there would be no medications to treat common ailments, no prescriptions filled, no one to answer their questions. Is your church or school group going on a mission trip this summer? Do you know a short-term medical mission team who could use a MAP Medical Mission Pack? 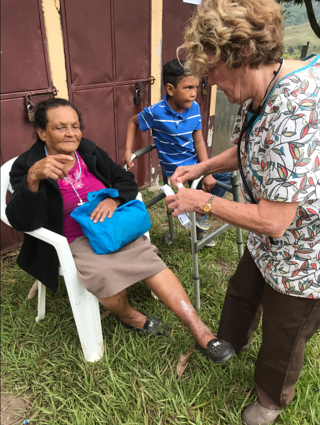 Learn about our packs that provide much-needed medicines and supplies to people in impoverished communities around the world.